I found a tattoo in a book about mandala tattoos and dont know what the meaning is. Can anyone identify what this tattoo means? At least none that we know the Norse would be able to recognize. Runes are typically made with one vertical line an some straight lines attached to it. Curves such as the above were only used for a very few runes, since it would make them hard to carve in wood. Wikipedia has a lot of examples of runes. The amulet looks like it was inspired by old norse art, but does seem to conform to any of the distinct styles that has been later identified. I am not sure why your pictured pattern would be in a book about mandala tattoos. Tattoos based on the mandala concept tend to be circular in nature and often are inspired by floral patterns as well. (The above is not circular, except for the small knot-work at the top.) Additionally, the mandala is of Tibetan origins, and looking for "runic" interpretation seems disjointed. A mandala is useful as a meditative tool where the observer can become mesmerized, or "lost" in its contemplation. Again, I don't see that in the given 'pattern' at all. Covering the "Rune" aspect, I've got to go with andejons answer. None. 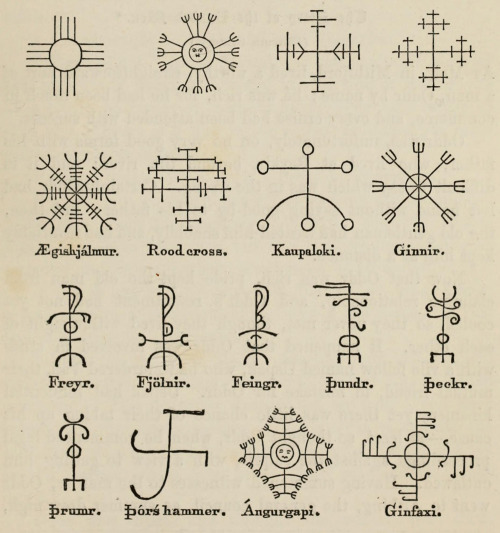 While some of the later 'runes' had curves, to a limited degree, most attempts at runic work avoids curves unless they are explicitly using one of the "modern" rune sets. Runes were originally carved into wood, sometimes stones, and had straight lines. Curves are notoriously difficult to carve with hand tools (again, as mentioned by andejons). Additionally, though not evident in your picture, the purely horizontal lines were also avoided, as a straight horizontal like would be hard to distinguish, or notice, against the grain of the wood itself. I see no "runes" in the picture at all. To me, what you have looks like a modern artist, inspired by Celtic knot-work, making an 'illuminated' monogram for the letters A and M. And even at that it is not "endless" in the fashion of most Celtic work. The serpent heads that stylize the crown of the A could have Nordic influence, as could the dots (eyes?) in the feet of the letters. Knot-work was also in Nordic art forms. So, even though not in any identifiable Nordic styles, it could have been influenced by that rather than Celtic. 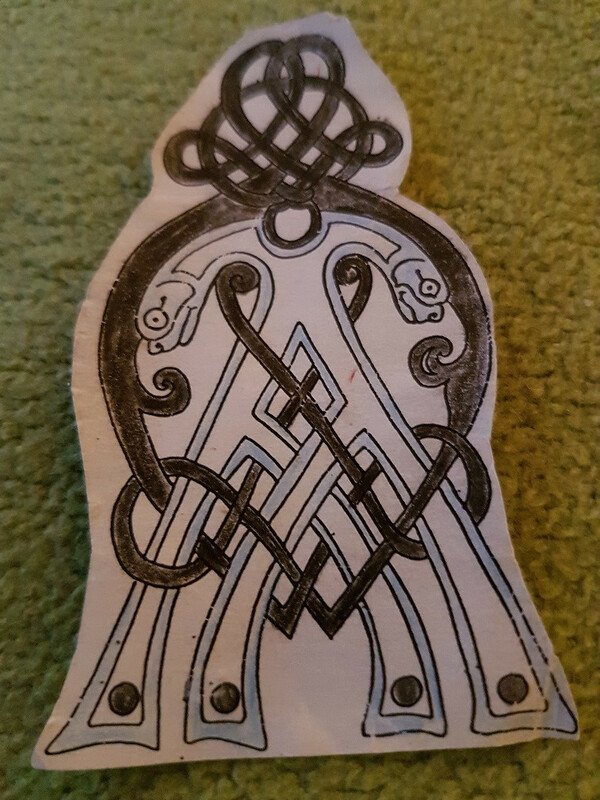 Most likely the pattern was done by someone who knew neither runes, Celtic knot-work, nor Nordic art. Rather, they just happened to like some of what had been seen before, and created their own drawing meaning nothing more than the monogram itself. That looks more like a capital A from a manuscript like the Book of Kells in Ireland. So if anything it could be taken as Alpha. Not the answer you're looking for? Browse other questions tagged runes or ask your own question.